What are the differences between angel funding, venture funding and crowd funding? In what scenarios can they be exploited for maximum benefits? Different investors participate in different stages of a venture. Angel investors invest at the very early stages – when the founders only have an idea or when the idea is being or has been developed into a prototype. They provide enough capital for the idea to be tested and proven in the market, so that another set of investors can bring in more capital after the model is proven and when the venture needs more money to take the proven model to a wider base. Author Prajakt RautPosted on January 1, 2015 January 2, 2015 Categories All articles, Funding for startups, General interestTags angel investments, angel investors, boot strapping, bootstrapping for startups, crowd funding, funding, funding for startups, investors, startups, Venture capital, venture capitalist2 Comments on What are the differences between angel funding, venture funding and crowd funding? In what scenarios can they be exploited for maximum benefits? Will crowd-funding evolve as a popular funding option for startups? In my view, crowd funding will continue to evolve. And perhaps someday become a significant asset class for people with a little bit of cash, which they are willing to play around with in a high-risk – high-return investment. For crowd-funding to mature and become a popular investment option, there will have to a greater awareness of entrepreneurship and that the only way the game can be played is to invest in many, of which only a few would survive and may be one or two would give you disproportionate returns that justify the investment. As investors start getting more aware and accepting of the failure rates, crowd-funding will start getting wider acceptance. I do not agree with some comments that a few early successes will drive the growth of crowd-funding. At least I hope that a few early-successes are not the reason for many people jumping in to fund through crowd-funding platforms. Because there will be more failures than successes in startups. Investing in startups because you missed a few success stories is almost always the wrong reason to invest in startups. Author Prajakt RautPosted on December 16, 2013 Categories All articles, Funding for startups, General interestTags crowd fundingLeave a comment on Will crowd-funding evolve as a popular funding option for startups? Crowd-funding for startups. Is it a good idea? 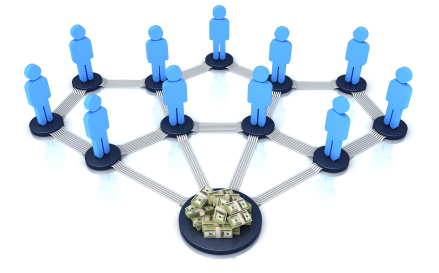 Crowd-funding is certainly gaining popularity in certain markets. However, for crowd-funding to work well for all parties, it is important that the entrepreneurial eco-system in that market is mature and has investors & entrepreneurs who have seen some cycles of ups and downs. Here’s why: Funding startups carries the highest level of risk. The percentage of startups that become successful AND are able to provide a exit and good return to an investor are very low. Hence, unless the ‘crowd’ comprises of folks who understand the underlying risks (or unless the investor group managers educate the investors well in advance), there is likely to be too much friction due to mismatch of expectations of returns on individual deals. Inexperienced investors who invest because they have ‘heard’ or read in media of sky high valuations for some startups, often are not aware of the risk ratio in investing in startups. They may often not be aware that investors most likely lose money in 6-7 of the 10 companies they invest in. May be one or two out of 10 companies may return the money invested, may be with some modest returns. And, probably one of the 10 may provide a decent return to make up for the losses but also provide the surplus to deliver a decent return on the total capital invested. Given this kind of stacking of successes and failures, over a 4-5 period most investors, if lucky, are not likely to make signinficantly more money than they would have on their overall portfolio of investments (stock markets, commodities, real-estate, etc.). A far cry from the ‘solid valuations and handsome & quick returns’ in startups they read about in the media. (What one sees in media are exceptions and one cannot plan life assuming exceptions to work in your favour… and certainly not consistently). Now, in many cases, when inexperienced investors are expecting breakout results, and are instead faced with losing capital in a company, they may start getting anxious and therefore pose challenges of investor expectation management for the founders of the startup. They could get interfering and imposing their views. These are real challenges, and certainly an unwanted distraction. Be clear and honest about the plans, milestones and plan B in case the original pans do not work out as planned (they usually don’t). Giving investors the confidence that you are in control even when things are not going right is often comforting for them. Keep them posted of all developments – monthly reports and quarterly calls with all investors are good. Inform them about bad news before they ask. Provide them a view of what you plan to do to address the issues. Be transparent. Be direct. Define clear proceses for communication between investors & entrepreneurs. Define how and through whom the interaction will be routed. A good option is to agree that one or two members from the investor group represent the group on the board or act as the ONLY communication & interaction point. Individual investors should route their queries or suggestions only through this/these designate individual(s). Only during the quarterly calls should all individual investors be invited to participate in direct interactions with the team. Even then, individual suggestions should not be binding and it should be made clear to the suggestion giving investor that the suggestion will be considered by the management and discussed with the board before taking a decision. This should be the standard procedure. Hope you have a great experience in crowd funding your startup. Do let me know about your experiences, and any additional suggestions and learnings that you may want to share. Author Prajakt RautPosted on April 9, 2013 April 9, 2013 Categories All articles, Funding for startups, Lessons in leadershipTags angel investments, crowd funding, fundingLeave a comment on Crowd-funding for startups. Is it a good idea?